HAMPTON, Va. (July 18, 2018) — Dr. Neelam Azad, Chairperson and Associate Professor for the Hampton University Department of Pharmaceutical Sciences, received her second independent investigator award from the National Institutes of Health (NIH). The grant is titled, “Targeting Lipogenic and Angiogenic Mediators in Pulmonary Fibrosis,” and is a follow up to her previous grant in 2011. The period of funding is from July 2018 through May 2022, with a first year funding amount of $343,000, and for a total funding amount of $1,269,500 over the next four years. Pulmonary fibrosis is a progressive and usually fatal disease of the lung. Approximately, 130,000 people in the United States and five million people worldwide suffer from this disease, and the mortality rate among African Americans is twice as that of Caucasians. This grant proposes to use a combination of traditional molecular biological techniques and high-throughput Lipidomics and Proteomics approaches to identify novel protein and lipid biomarkers, while investigating their contribution to pulmonary fibrosis. In addition, Dr. Azad will test the potential of provisionally patented drugs developed by her group in mitigating disease progression. 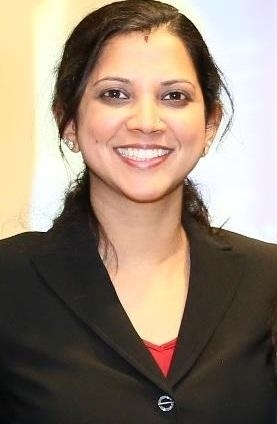 “Due to major challenges in both diagnostic and therapeutic modalities in pulmonary fibrosis, it is important to continue investigating novel drug targets that may help achieve viable therapeutic outcomes against this incurable disease,” said Dr. Azad, Chairperson and Associate Professor for the Hampton University Department of Pharmaceutical Sciences.